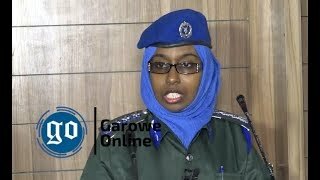 Eldoon was jailed in Hargaisa after meeting with Somalia’s new President Mohamed Abdulahi Mohamed Farmajo in Mogadishu following his victory in the presidential election last February. 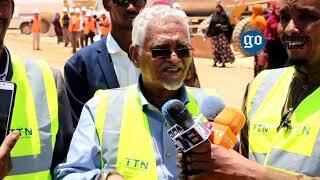 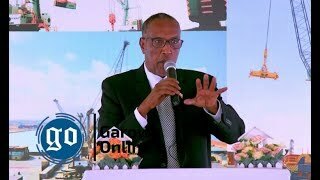 Upon arrival to Haragisa, Eldoon was arrested by the Police and the court in Somaliland sentenced him to prison for two years on April 2017.However, after he was released from jail, Eldoon spoke to the media and thanked Somaliland President for handing him presidential pardon. 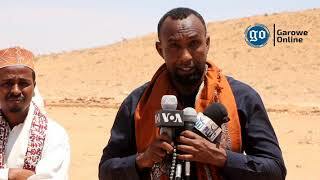 Eldoon said his release coincides ahead of the holy month of Ramadan which will give him time to kick start his humanitarian work to help needy families in the region. 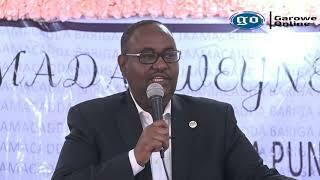 GAROWE, Somalia-Puntland authorities has closed down independent Daljir Radio’s FM station in the state capital of Garowe for interviewing former Bari Governor, Garowe Online reports.